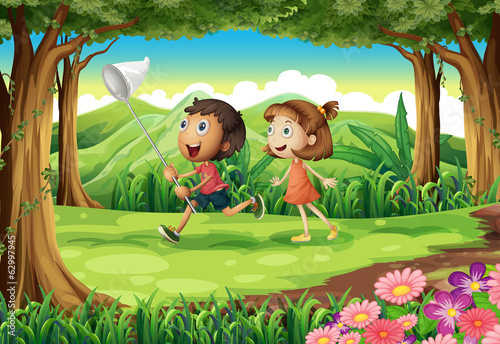 It’s time to catch butterflies! Can you see any? We’ve been chasing them for one hour and haven’t seen even one... Where are they? Can you help us? The photo wallpaper with an exhilarating theme will be an inspiration to play. Let your child develop during everyday fun.